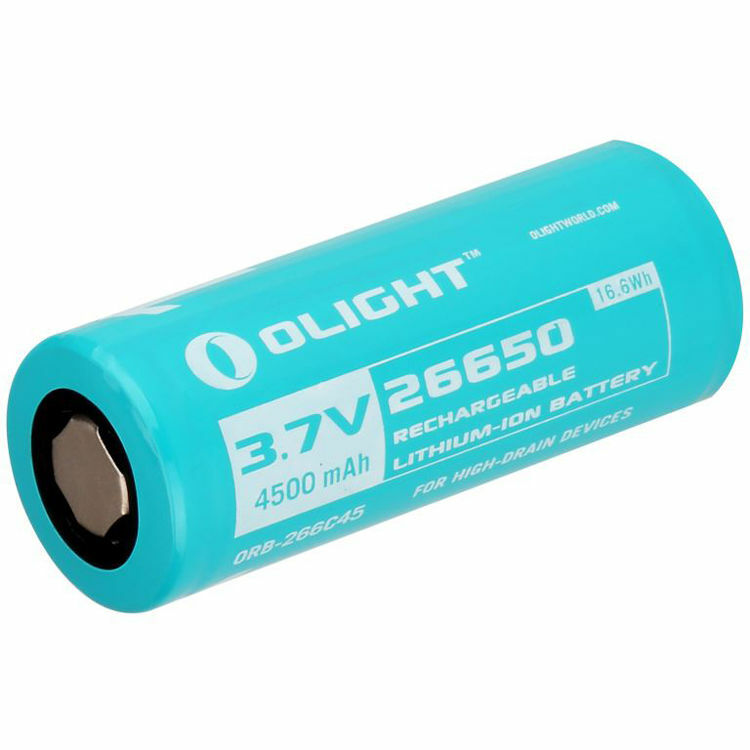 Compatible with the R40 and R50 series flashlights, the 26650 Li-Ion Rechargeable Battery from Olight features 3.7V of output power, 4500mAh of capacity, and a 16.6Wh rating. Box Dimensions (LxWxH) 3.0 x 1.2 x 1.2"
26650 Li-Ion Rechargeable Battery (3.7V, 4500mAh, 16.6Wh) is rated 5.0 out of 5 by 1. Rated 5 out of 5 by Lindsay from It works It makes the flashlight work. Five stars.